Foothills Mall Tucson is located in Northwest Tucson at Ina and la Cholla. Foothills Mall Tucson has a variety of stores. It is a good place to shop, catch dinner or enjoy a movie. The Theater Complex is connected to the Foothills Mall. Fun is always in the air at Foothills Mall Tucson. Seven great Tucson restaurants, a spacious food court and multiplex theater are located here as well. Whether you’re celebrating or just power shopping it may be the perfect place. There is also a kids play area in the mall called Arizona Adventure. It provides slides and other activities for children. It is located near the food court of the Tucson Foothills mall. The Foothills Mall Tucson is different than your normal mall. This Mall is a cross between a regular Big City Mall and an Outlet Mall. You will find a definite mixture of stores. From major retailers to boutique shops. Foothills Mall Tucson will have an item for every individual. 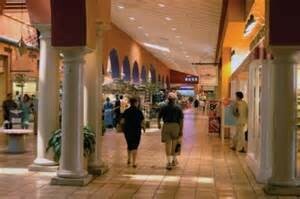 Since Foothills Mall Tucson stores are different from other Malls in Tucson you will always find a variety of items. Go to the Foothills Mall Website for a list of stores. Tucson Foothills Mall Stores include; Barnes & Noble, Saks Fifth Avenue OFF 5th, Ross Stores and Kirkland’s home decorating. Some nice Tucson AZ restaurants at the mall include Gavi Italian Restaurant, The Melting Pot and Thunder Canyon Brewery. Directions: Go West on Ina off Oracle. Go through the intersection at La Cholla. Just after the intersection Light turn Right into the Mall. Map to the Foothills Mall Tucson. Some other Malls in Tucson include Tucson Mall at Wetmore & Oracle. La Encantada Mall in the Catalina Foothills at Skyline and Campbell. On the East side of Tucson is the Parkplace Mall on Broadway. If you are looking at homes for sale Tucson AZ? Thinking of Selling a Tucson home? We can help!